A complex interplay of muscles, nerves, joints and bones allow for the degree of movement and dexterity of the human hand. Some 35 muscles in the hand and forearm control the movement of the hand. It is these muscles that give the hand the ability to move and perform tasks like gripping an object. When the muscles, or nerves controlling it, are diseased it can lead to overall hand weakness which may be most obvious as a weak grip. It is also important to note that the flexibility of the hand is made possible by the joints so joint diseases can therefore also affect hand movements. The strength of the hands differs from person to person. Naturally a more muscular person will have a stronger grip as would more larger people in most cases. It is understandable that young adults will have a stronger grip than children or older adults most of the time, and even gender plays a role in individual grip. These factors (age, gender, body size, physical fitness, muscle mass) makes it difficult to define normal hand strength to a specific degree although there is an accepted range for what is average. Equipment like a dynamometer makes it much simpler in putting a number to individual hand strength in pounds (lbs) or kilograms (kg). For men the average hand strength should be somewhere in the region of 105 to 112 lbs (48 to 51kg) whereas the average for adult woman is around 57 t0 65 lbs (26 to 29 kg) of pressure/force. It can be significantly higher or lower with variations in age and this may still be considered as normal. 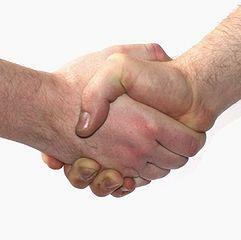 However even without specialized equipment, most of us know what normal hand strength or a normal hand grip should be. If it is abnormally low meaning that the hand grip is weak, or if the weakness develops and progresses then it is necessary to have it assessed further. 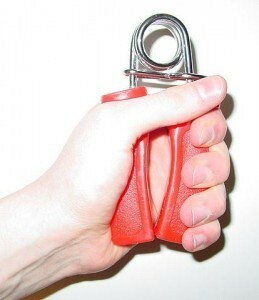 A weak hand grip can be due to various disorders and diseases. Short term hand weakness can be due to fatigue, alcohol intoxication or certain sedative medication. It will ease once the hand is rested or the substance wears off. From the list of possible causes of hand weakness, most are due to nerve dysfunction and disease. This means that the muscles itself are not affected. Instead the nerve signals that causes the muscles to contract to different degrees are impeded in some way. Less commonly it may be joint diseases that are the root cause of a weak hand grip. In a small number of cases, bone, skin or blood vessel diseases could be responsible as well. Nerve damage and diseases may not only affect the hand grip but also cause problems with movement of the fingers and at the wrist. Since sensory fibers may also be affected in these nerves, a person may experience abnormal sensations like arm tingling, numbness or pain along with movement disorders. Carpal Tunnel Syndrome: Compression of the median nerve as it passes from the forearm to the hand through a bony tunnel is known as carpal tunnel syndrome (CTS). 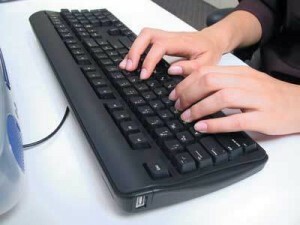 This is often associated with repetitive hand movements and is a common condition these days with computer use. Brachial Plexus Injury/Disorder: Trauma and inflammation of the network of nerves arising from the neck region (brachial plexus) which branch off to provide sensation and movement to the upper limb. May occur with blunt or sharp force trauma, vehicle accidents, compression and other nerve diseases. Radial Neuropathy: The radial nerve controls the muscles responsible for the movement of the wrist, hand and fingers. It arises from the brachial plexus. Any nerve damage or nerve disease, collectively known as a neuropathy, can therefore affect these functions. It may present as wrist drop or finger drop. Radial neuropathy is also known as Saturday night palsy or squash palsy. Ulnar Neuropathy: The ulnar nerve also arises from the brachial plexus and runs down the arm to supply muscles of the forearm and hand. Any neuropathy (nerve disease or damage) will be seen with weakness or paralysis of the hand and the fourth and fifth fingers. It may also present with claw hand at rest. Cubital tunnel syndrome is one type of ulnar neuropathy where the problem lies at the elbow. Median Nerve Palsy: The median nerve also originates from the brachial plexus and is the only nerve to pass through the carpal tinnel to the hand. Any damage, disorder or disease of this nerve can lead to problems with moving the hand at the wrist and with thumb movements (“ape hand deformity”). Cervical Radiculopathy: The nerves that form the brachial plexus and ultimately gives rise to the nerves of the forearm and hand originate from the cervical (neck) nerves. Apart from numbness, tingling or pain and muscle weakness there may also be poor coordination and abnormal reflexes. Amyotrophic Lateral Sclerosis: Also known as Lou Gehrig’s disease, ALS is where the nerve cells in the brain and spinal cord. It involves the degeneration of the nerves that control muscles (motor neurons) and is therefore also broadly referred to as motor neuron disease. Twitching, cramps and muscle weakness are some of the symptoms. Weakness may also be seen with other nerve conditions such as Parkinson’s disease, Guillain Barre syndrome and multiple sclerosis (MS) and neuropathies associated with spinal cord injury, nerve infections like polio, toxins (alcohol, poisons), autoimmune diseases, diabetes (diabetic neuropathy) and a stroke. The muscles and its tendons are responsible for movement of the hand and fingers. Sometimes these muscles or its tendons are damaged or diseased despite there being normal nerve function. Muscle problems usually appear with weakness, paralysis and/or hand pain with certain movements. Myasthenia Gravis: An autoimmune disorder where there is weakness and rapid fatigue of the muscles. It is due to the immune system disrupting the communication between the nerves and muscles. It can affect most skeletal muscles (muscles under voluntary control) including those of the arm. Muscular Dystrophy: It is a group of muscle diseases where the muscle fibers are injured and gradually weaken over time. Muscular dystrophy is due to genetic factors. Some may be noticed early in life, even in infancy, while others may arise in the teens or early adulthood. Tendonitis: Inflammation of the tendons from muscles controlling the hands generally leads to pain upon movement. It can also cause some degree of weakness, although this may be more prominent with tears in the tendon. It usually occurs with acute trauma or repetitive movements over long periods of time. Polymyositis: A rare inflammatory disease of the muscles leading to weakness. It is believed to be due to autoimmune factors but the exact cause remains unknown. The weakness affects both sides of the body and gradually worsens over time. It is not isolated to weakness of the hand although the upper and lower limbs are mainly affected. Muscle Atrophy: Shrinking or wasting of the muscle may occur for a number of reasons. The loss of muscle mass subsequently leads to weakness. Atrophy of the muscles may occur for a number of reasons but is largely due to inadequate nerve stimulation of the muscles, impaired blood supply or malnutrition. It may also be seen in conditions like HIV/AIDS, cancer and other debilitating diseases. There may also be other muscle conditions where weakness is one of the symptoms. For example, severe trauma as may occur with burns can lead to permanent muscle damage which results in weakness. Joint, bone and even ligament problems could also contribute to muscle weakness to some degree. Sometimes skin problems that reduce the elasticity of the skin or cause pain, as well as circulatory disturbances that reduce blood supply to the hand can lead to weakness. This may be seen with conditions like rheumatoid arthritis, fractured hand bones, arterial occlusion (usually a clot), burns, malnutrition and the long term us of certain drugs like corticosteroids. Last updated on August 24, 2018.